31-year old Ethiopian national Million Zeghergis is facing four counts of intoxication manslaughter after a two vehicle collision in Alief. HCSO deputies responded to the intersection of Synott and Beechnut at 10:00 p.m. for a collision between a limousine company van and a Honda Civic. Devendraprasad Patel, driver of the Civic, and three rear seat passengers were killed in the collision. 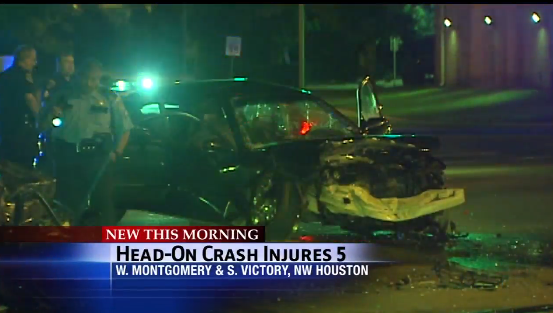 A female passenger in the Civic survived the crash. Zeghergis’ bond has been set at $400,000. 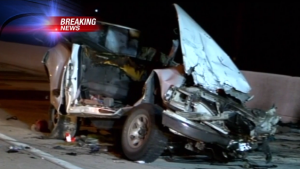 Prosecutors stated his blood alcohol content was .107 more than three hours after the accident. 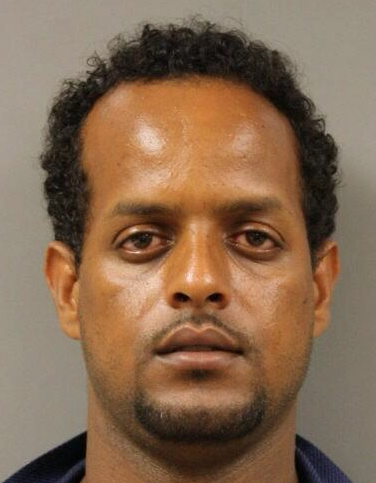 What appears to be Zeghergis’ Facebook page states he is self-employed and is from Asmara, Eritrea. Update: a story posted to Channel 2’s web site states Zerghergis was issued a Houston cab driver’s license May of last year. 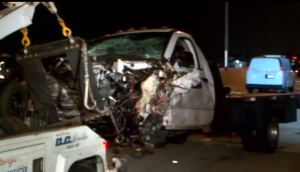 The vehicle he was driving at the time of the fatal crash was a 2009 Dodge with the phone number and logo of the Champion Town Car Company. The driver of the Honda, Devendraprasad Patel, was killed, along with three passengers: Kokila Patel, Ansuyaben Patel and Jayanthilal Bhatt. 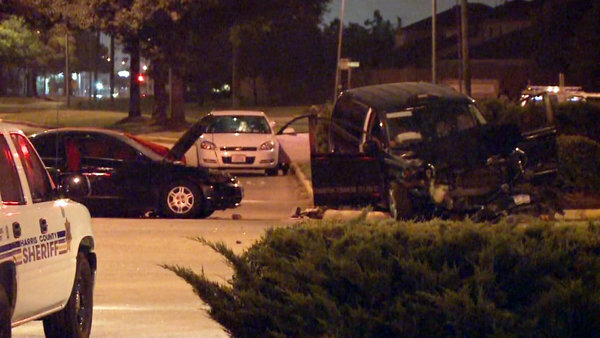 A driver was arrested after crashing into a Precinct 4 deputy’s patrol car around 2:00 a.m. this morning. 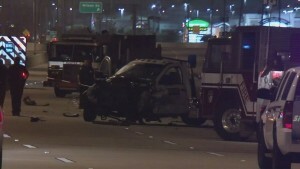 The collision happened near Sam Houston Parkway North and Antoine Drive as officers were responding to a vehicle fire. A car went around a blockade and smashed into the rear of the patrol car, hitting a deputy and a wrecker driver. 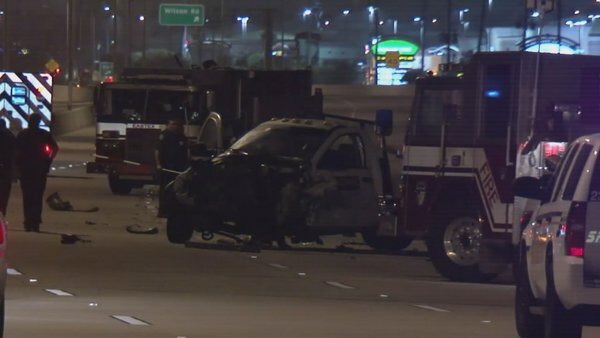 The deputy and wrecker driver were taken to hospital in stable condition, and the driver was arrested on suspicion of driving drunk. 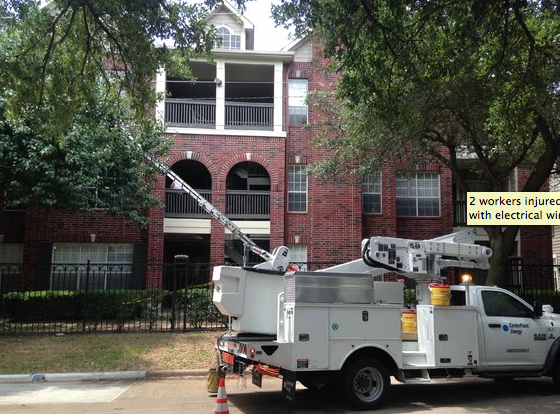 Two workers were seriously burned in an electrocution incident at the Terra at Piney Point Apartments, located at Fondren Road and Woodway Drive in Houston. The two men, who did not work for the apartment complex, were using a ladder to do some painting to the exterior of the apartments. The ladder slipped somehow, causing the men to come into contact with an electrical wire. 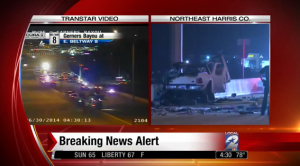 According to witness Cheryl French, interviewed by KHOU, one of the men’s head was on fire. Both men suffered severe burns. The driver of the red pickup truck shown below was taken from an accident scene yesterday via life flight helicopter. 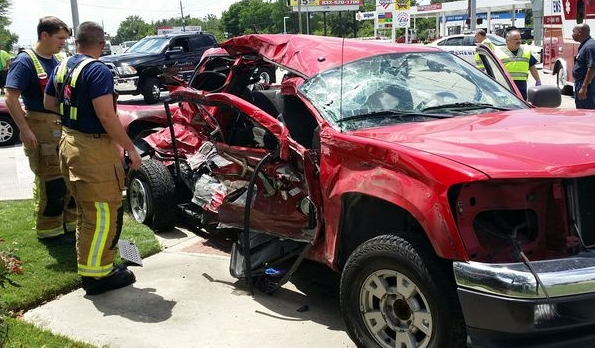 The collision between the pickup truck and the 18-wheeler occurred on FM 529 at Greenhouse Road in northwest Harris County at around 2:45 p.m. June 17th. 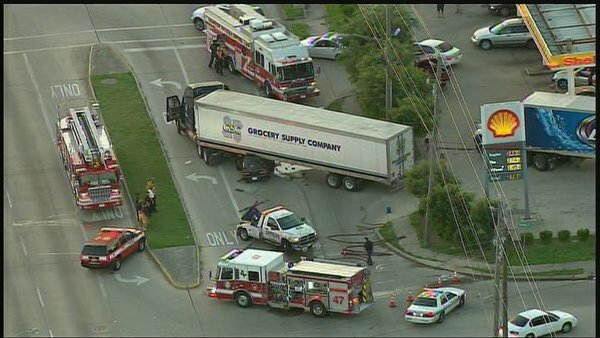 18-wheeler accident in Houston? Smith & Hassler has four attorneys board certified in personal injury trial law by the Texas Board of Legal Specialization, and more than 25-years of handling injury claims involving truck, 18 wheelers and other commercial vehicles. 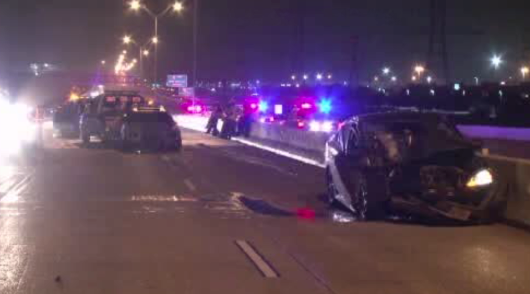 Two men are dead after an early morning crash, and the driver of the vehicle they were riding in is facing serious charges. 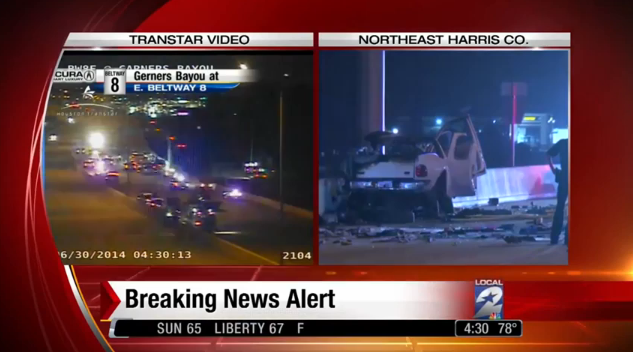 The wreck happened around 1:00 a.m. in the northbound lanes of the Gulf Freeway near Edgebrook. 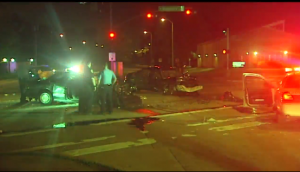 Channel 13 reports the driver lost control of the Buick before hitting a light pole and guard rail. 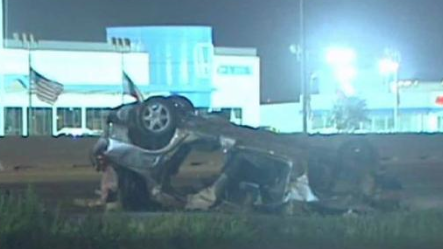 The two male passengers died at the scene; at least one of the men was ejected from the vehicle. Thanks to Smith & Hassler client Marty Hayden for writing our latest online review on Google (see below). Smith & Hassler was founded in 1989 by Michael J. Smith and Albert “Al” M. Hassler, II and has been representing injured people throughout Texas for more than 25 years. As of this writing, Smith & Hassler is rated 4.9/5 stars based on 37 Google reviews from former clients. If you or a loved one have been injured, visit www.smithandhassler.com to arrange for a free consultation with an attorney (and not a legal assistant, secretary or case manager). 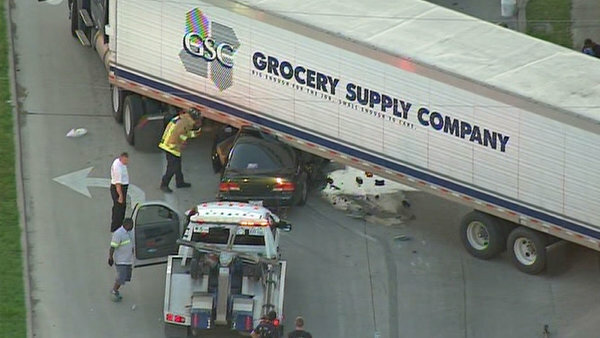 Emergency responders were working hard this morning to free the driver of a sedan that became wedged under the trailer of a Grocery Supply Company 18-wheeler. 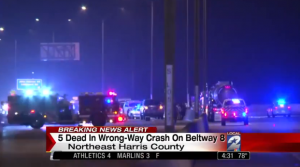 The collision happened around 6:00 a.m. this morning as the big rig pulled out of a gas station parking lot onto Almeda-Genoa Road a few blocks to the west of Highway 288. 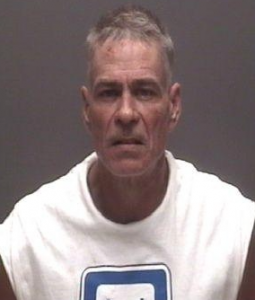 49-year old Kevin Wade Wilson is facing serious charges after a fatal collision with pedestrians along Galveston’s sea wall. Around 7:13 a.m. Sunday morning, Wilson’s red-colored Ford pickup truck struck two pedestrians before going over the sea wall. 62-year old Raphael Flajole, in from Lake Orion, Michigan to visit family in Galveston, was killed in the collision. The other pedestrian, 48-year old Shane Sabala, was rushed to the hospital where we was listed as serious but stable condition. According to law enforcement, Wilson was on probation for a narcotics charge; an investigation to determine whether Wilson was intoxicated is underway. 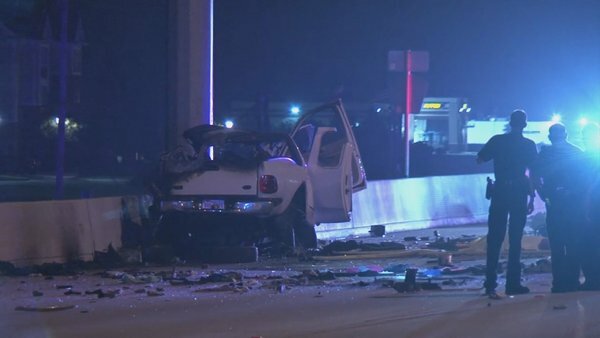 Investigators are working to determine whether alcohol was a factor in a major head-on crash early this morning that injured five people. The vehicles collided at the intersection of Wes Montgomery and Victory in northwest Houston, according to ABC Channel 13 News. One vehicle was heading north, the other south, when the southbound vehicle attempted a left turn to head eastbound. Neighbor woken by the sound of the crash came to the scene to help and reported a female occupant of one vehicle with a large gash to her head. Other victims suffered broken bones but all are expected to survive.